The Bridewell Theatre is situated in the St. Bride foundation building. The foundation was opened in 1891 as a cultural and recreational centre for the people of Farringdon, with emphasis on its Printing School. The school moved south, but some of the equipment remains, as well as a library housing various resources on printing and graphic design. 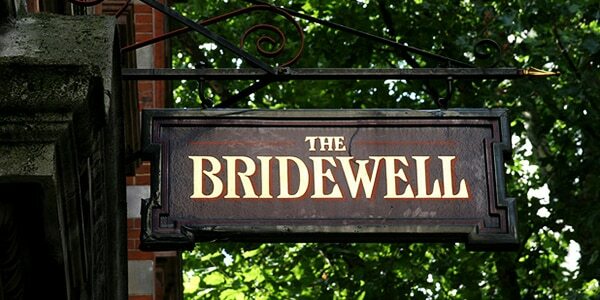 The Bridewell theatre hosts performances ranging from classical works to relatively unknown contemporary plays, as well as showcases from MTA, the LSMT, and the London Ballet Company. The theatre also offers 45 minute performances at 1pm under the ‘Lunchbox Theatre’ banner, encouraging a more regular interaction with culture. As well as the theatre, the building holds a bar, a gallery, and several function rooms. The Foundation prides itself in its availability to local people and charities.